22mm x 22mm threaded coupling designed for piecing together 10, 20 or 30 meter lengths of hose to make effectively a longer hose. 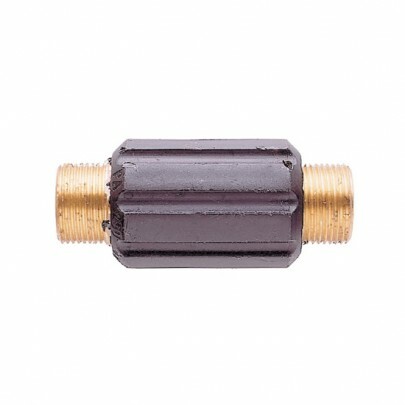 You won’t lose any pressure with this coupling as the water pressure is built through the hose. No pressure will be lost. This is the deluxe coupling as it can be tightened by hand.